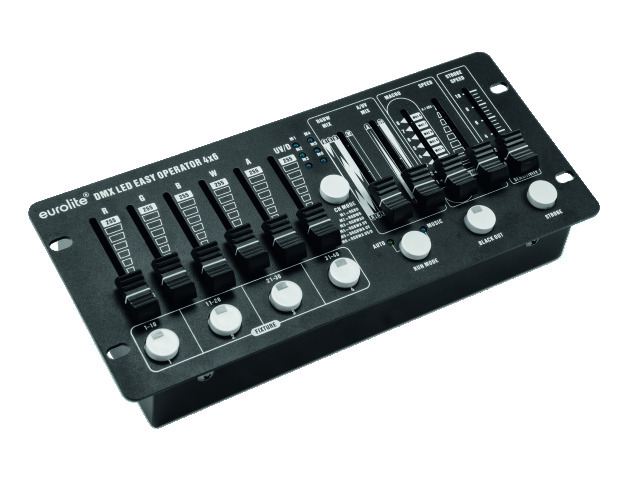 Compact DMX controllers with which you can control a few spotlights or small lighting systems very easily: These are the new LED Easy Operators from Eurolite. Depending on the model, the handy controllers are ideally suited for controlling up to four individual headlights or light sets such as the KLS from Eurolite. Three different models of the series are currently available: The Easy Operator 4×4 controls headlights with RGB and RGBW equipment, the Easy Operator 4×6 and the Easy Operator Deluxe support up to 6 individual colors. The latter also offers pre-installed running lights and is particularly suitable for light sets such as the KLS from Eurolite. 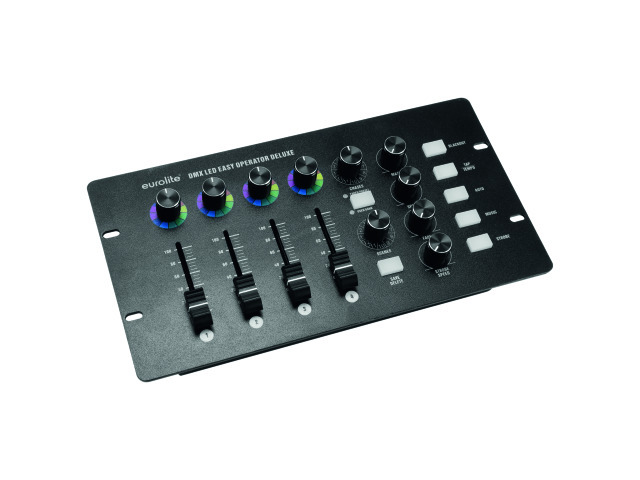 With the compact controllers, you can individually adjust the color mixing for each connected spot. Pre-installed color mixtures or running lights can also be called up conveniently. Their speed can be adjusted manually or run in music mode. A simple fader or knob controls the speed of the strobe effect. The Easy Operator Deluxe takes it one step further than its colleagues. It can either be used for 4 individual spots or for a light set with 4 spots. For example, many of Eurolite’s popular KLS systems can be controlled with it. In contrast to the two smaller models, users can create their own running lights in addition to the already pre-installed ones here. Each program can be adjusted in speed or run in music mode. 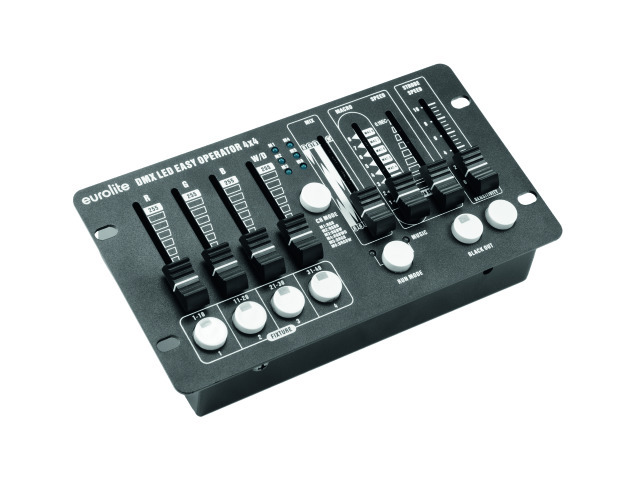 The Easy Operators do not require complicated menu navigation: Each function has its own knob or fader and can therefore be used at any time. The controllers are very clearly arranged and therefore well suited for beginners. Mobile users and small stages also benefit from the easy-to-operate devices in mini format.